It's your chance to live on "Island Time"! 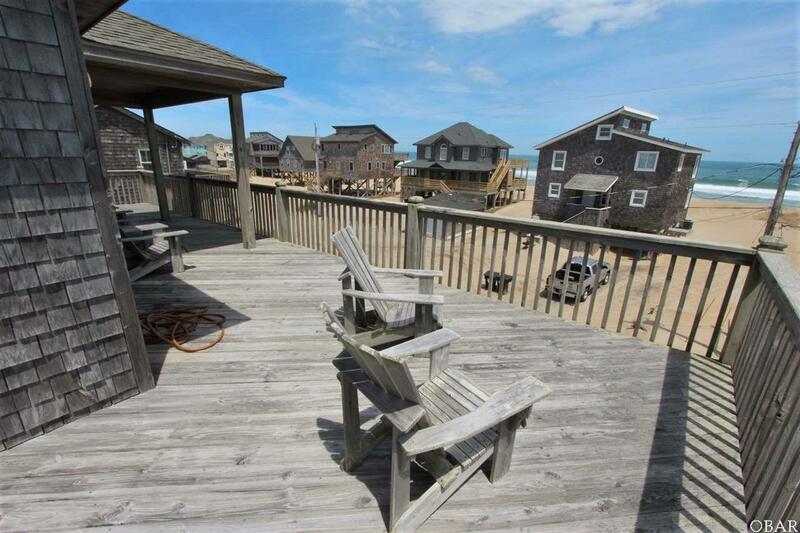 Homes in Buxton's beach area are sought after and don't come available often. 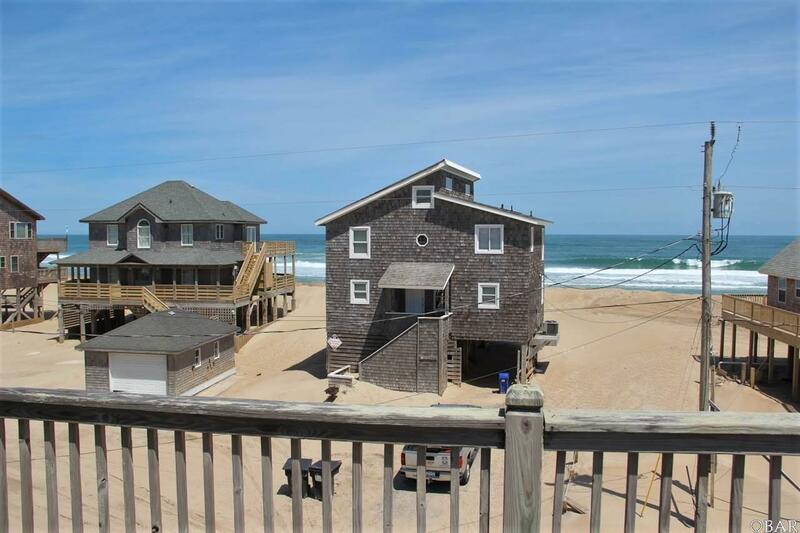 This semi-oceanfront location has spectacular views of the ocean and an easy walk across the private street to reach a perfect spot to catch a wave or a fish. 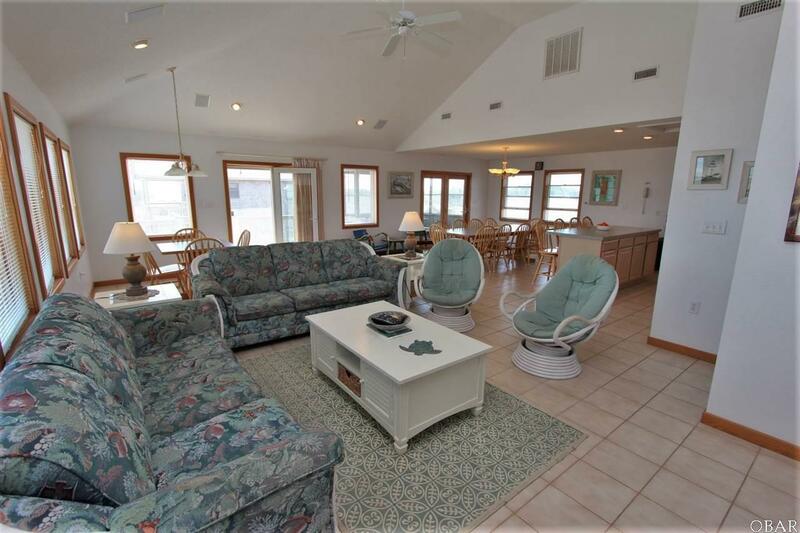 Island Time has a nice carport area where you can step up to the outdoor shower, an outdoor half bath, and storage, or you can go inside to relax in the lower level den/media room. A utility room with washer, dryer and full freezer is also on this level with an owner's closet for personal storage. The mid-level includes the 4 bedrooms and three full baths. Three of the bedrooms have sliders to access the large deck and hot tub area. 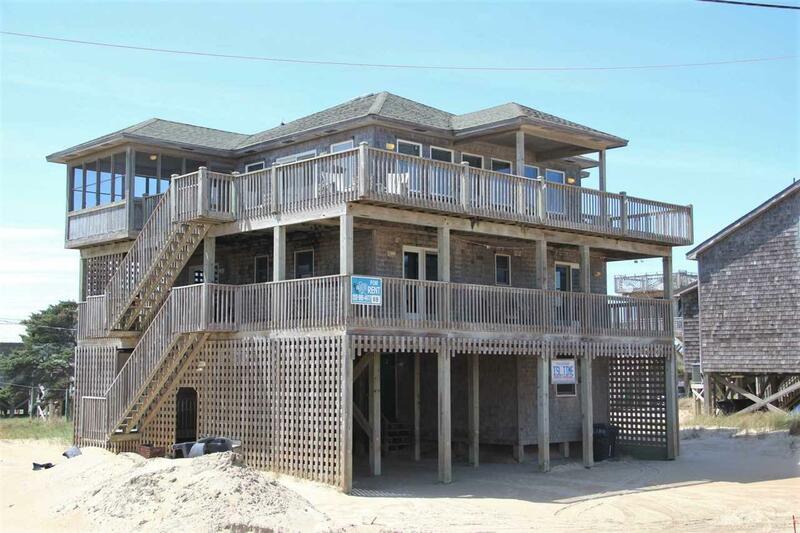 The top floor has vaulted ceilings and walls of windows with views of the beach and Cape Hatteras Lighthouse. There is a comfortable living area, large dining space, an extra card table spot, and an ample kitchen with island bar. The top level also has decks across the front and side, plus a screened porch that provides outdoor dining with quite the view. Island Time Buxton is waiting to make your day. See it soon! Listing courtesy of Trafton Reynolds of Nc 12 Realty.